Yet another extraordinary evening at the one and only Bardot last Tuesday night, which featured another incarnation of the weekly Slap & Tickle party. Tuesday night is easily becoming my favorite night at Bardot, because of its consistency in having readily danceable music, and a crowd to match. I walked in at 11:30pm to a relatively empty room, but with a sample of Michael McDonald’s “I Keep Forgettin’” playing (which was very appropriate because just hours earlier I was impersonating Mr. McDonald singing this song at a friend’s birthday). This shot my energy right up through the roof and was a perfect jumping off point to the night. Following usual form, Pirate Stereo was on deck laying down a great selection of music to get things warmed up. As the room slowly started to fill, the decks were passed on to local Miami DJ Panic Bomber. All I can say is WOW! Panic Bomber had me very impressed with his eclectic selection of reworked indie music, some house, and a bit of disco funk. Some highlights were when he sampled the 80’s R&B track Change’s “The Glow of Love”. 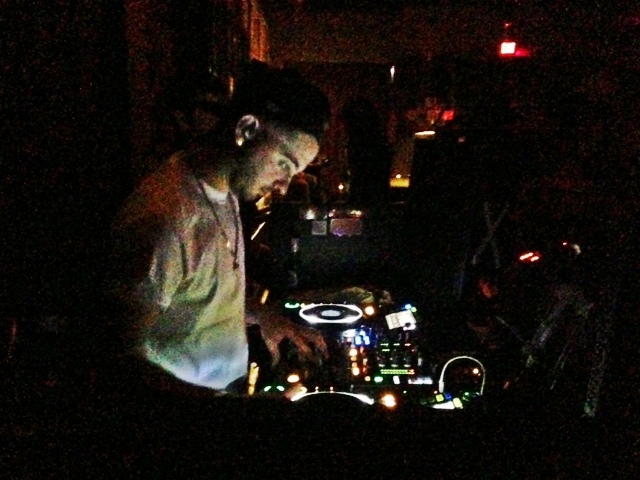 Another super moment was a remix he played of Foals “My Number”, and a remix of Azari & III’s “Into the Night”. It’s great when a DJ can incorporate a wide variety of music, yet still keep things cohesive in the way they are remixed and mixed together. Panic Bomber did this flawlessly. Aeroplane hit at 1:30am, and the crowd was sufficiently warmed up and ready for what he had to offer. I love the Slap & Tickle crowd, as everyone is free to be themselves in whatever form or fashion they choose. This particular night I had the pleasure of dancing with some really awesome people who were interpreting the music in such groovy ways! I love when people can freely express themselves through movement in response to music, and Bardot is no exception as a safe haven to do just that. If you need a sweet release, Slap & Tickle is the place to let go. As usual, Aeroplane did not let us down, playing some extraordinary mixes for us this evening. His set started off strong with a new remix done by some of my favorite DJ’s on the planet, Psychemagik. They recently released a remix of Dharma Protocol’s “Coming Home”, and I was ecstatic to hear that Aeroplane has picked it up. If you are not familiar with Psychemagik, I urge you to check out their SoundCloud page, which is chalk full of incredible music, both original and reworked. I digress. Aeroplane continued his set with some nasty house music, with bass pumping deep and wide. Some notable tracks I heard were Fabo’s “Where I Stand (Karmon Remix)” which features male vocals and a melody that creeps up and down the synth. It definitely got my shoulders poppin, and when I looked around, everyone in the room was having a personal moment of dance with themselves. This track really put people in another universe of their own interpretation, which I love to see during a night out on the town. Rex the Dog’s track “Do You Feel What I Feel” was other worldly, oozing disco sexuality to rival Donna Summer; the dance floor quickly became a platform for people to declare their sensuality through movement. The last track I took note of, and hands down my favorite, was Todd Terje’s “Inspector Norse”. Whoa. My first time hearing this track, I was instantly in love. Terje is a DJ and producer from Norway, and dabbles in love for disco. This track in particular is a synth heavy flight to the stars. You will not be able to help spinning your head around as if you were the Fresh Prince of Bel Air waiting for Jeffrey to open the front door. One last bit of magic to make this truly a night to remember was the surprise guest appearance from Plastic Plates! 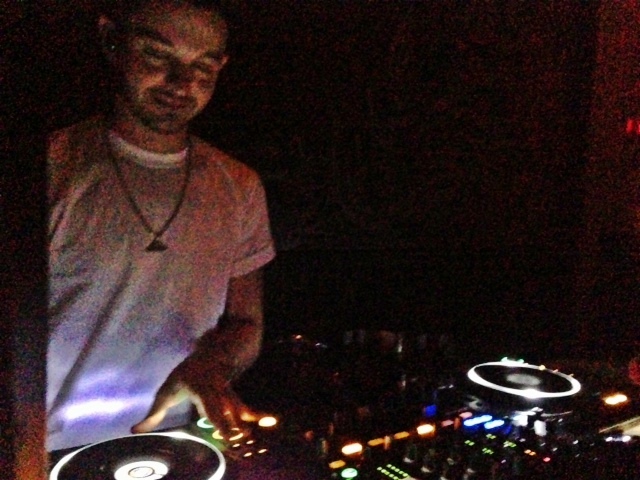 Australian born DJ/producer Felix Bloxsom got on deck for a few songs while Aeroplane stared him down as an onlooker. A bit of comedy to see these two working together, but you could tell they were having a blast with this little surprise and living it up in the DJ booth. I’ve seen Plastic Plates a few times, and he certainly knows how to bring the heat, therefore I highly recommend checking out a tour date near you for the future. Not to be missed! I gotta give it up to the Slap & Tickle crew for consistently bringing down the house in a most sophisticated way. Hands up!